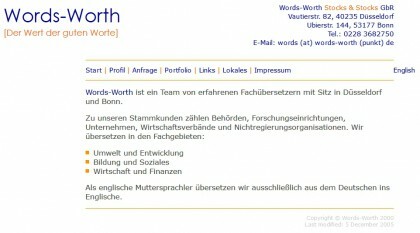 Sixteen years have passed since words-worth.de went online. It was minimalistic, simplistic, but functional. Although it has served us well, we feel the time has come for change. 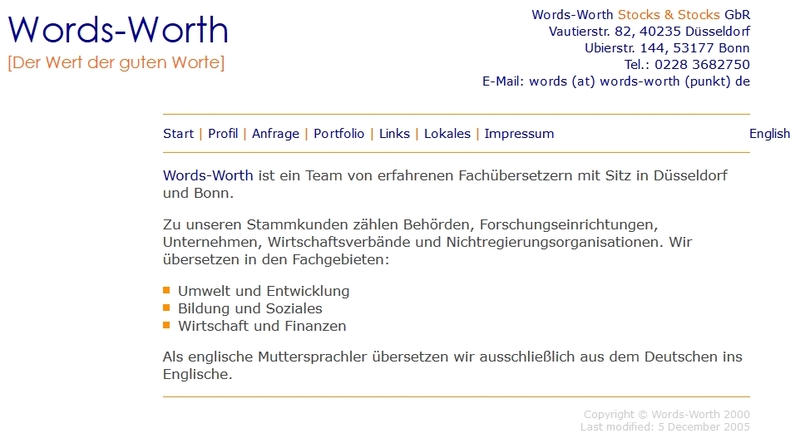 We want to give Words-Worth a new face. This new website has been built using WordPress, with a content management system (CMS) that allows us to manage everything far better. We now have an archive and we may eventually begin to blog. So here’s to the next 16 years with customers old and new, interesting and challenging translation assignments – and a sustainable online presence with a new look and feel.